Two of my days at the Aquarium were spent with the Animal Health Department and the Turtle Rehab Facility in Quincy. 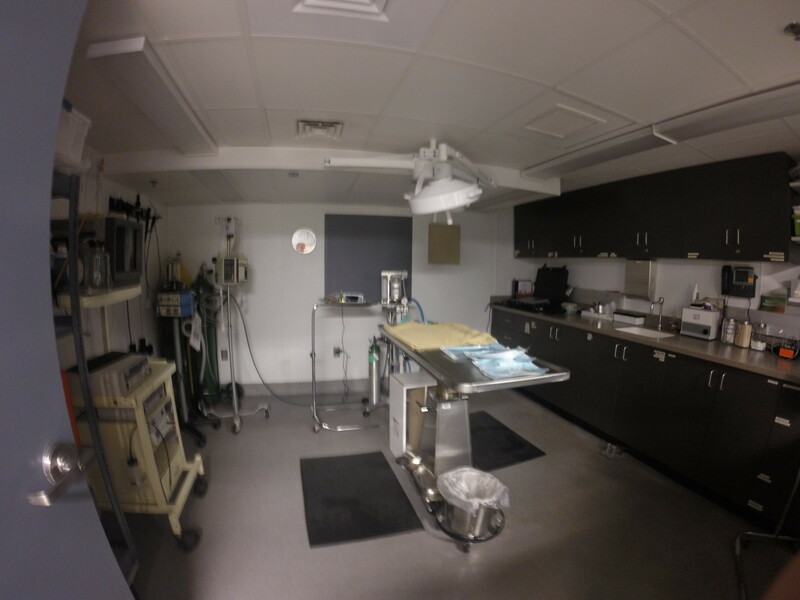 Both of these departments focused on the medical and veterinary aspects of animal care. During my time with the Animal Health Department, I assisted with the examination of four large anacondas. As part of scheduled check-ups, we drew blood samples and monitored the animals’ heart rates using ultrasound technology. 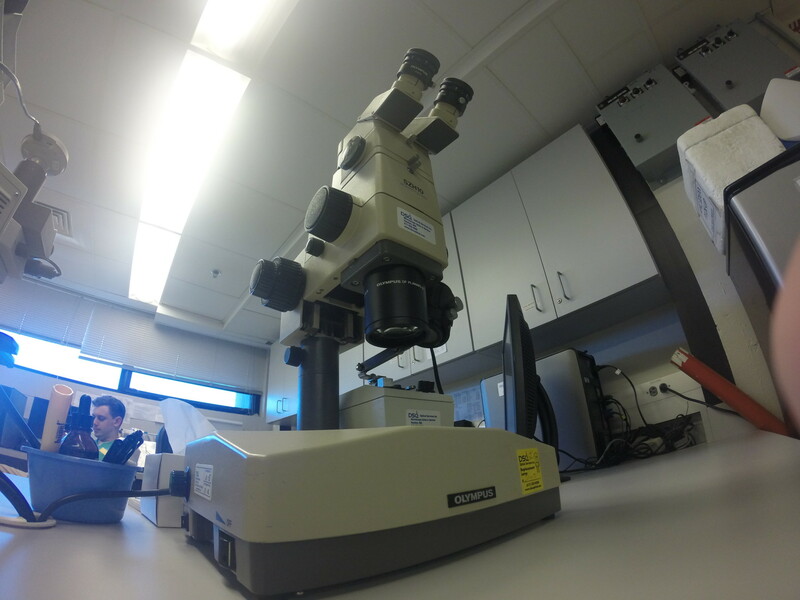 We also performed oral exams and an overall visual inspection. Under a gentle anesthetic, the animals were rather easy to work with. 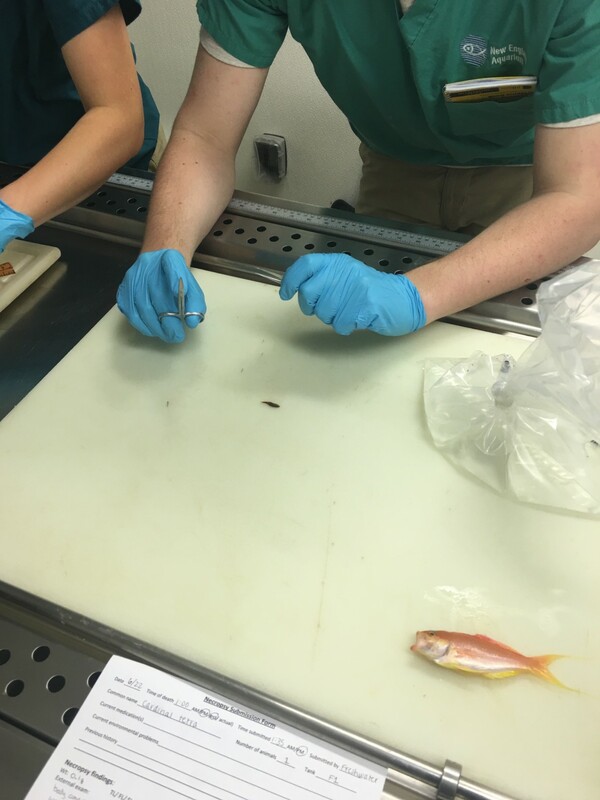 I also helped with necropsy evaluations of an american lobster and two smaller fish, We also provided care for a two fish taken out of the GOT – an ocean surgeonfish and a burrfish. 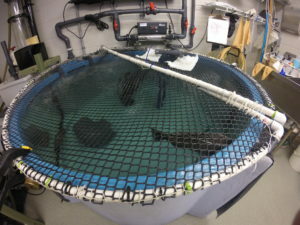 It was interesting seeing the care of the GOT fish from two separate angles: husbandry and animal health. 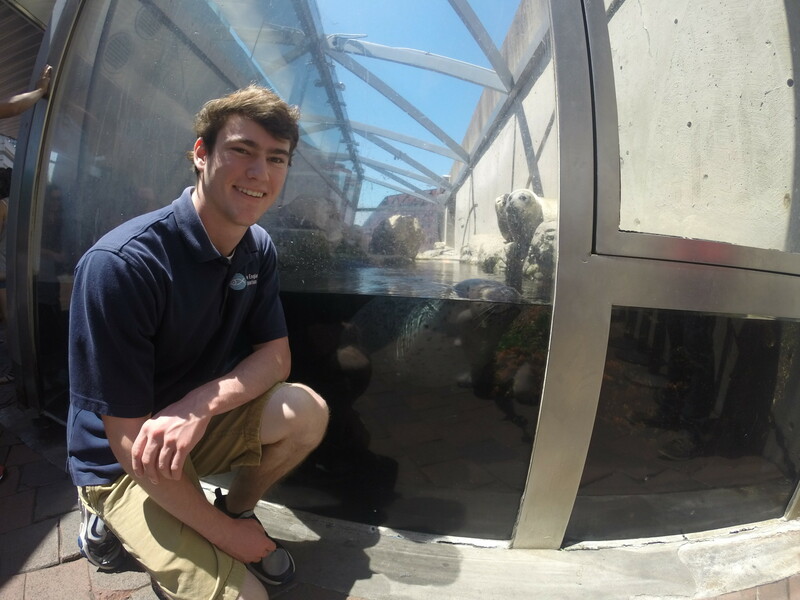 At the Turtle Rehab Facility, we only had three turtles in our care, since we are now at the tail end of the rehabilitation season. That being said, there was still much to be done. 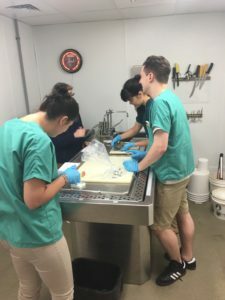 We conducted medical exams of all three turtles in the morning and spent the afternoon feeding and cleaning their enclosure. 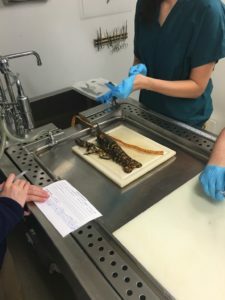 During the medical exams, we treated the animals for various conditions. These treatments consisted primarily of subcutaneous injections and the application of topical ointments. Prior to this experience, I had never worked so closely with turtles, so this was a truly fascinating opportunity. During the heart of my time at the Aquarium, I spent one day each in some very distinct galleries. 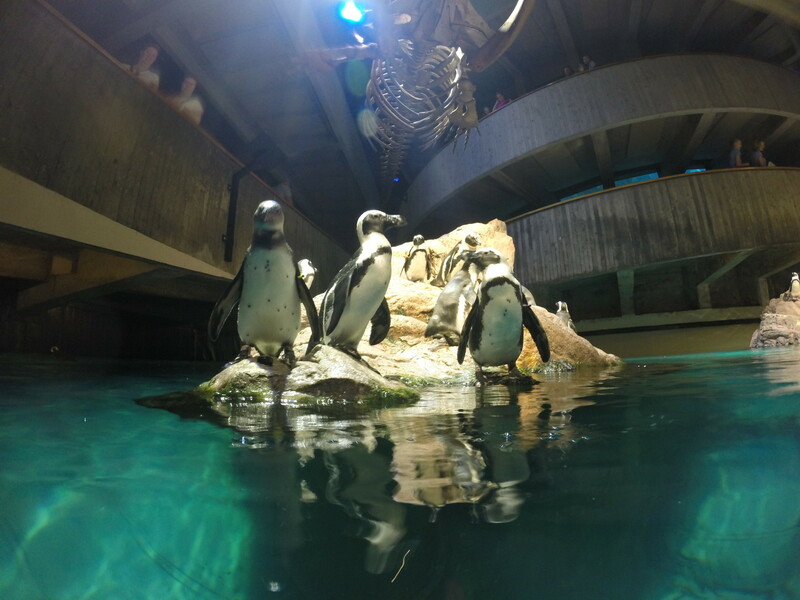 I first worked with the Penguins Department, responsible for the husbandry of the Rockhopper, African, and Little Blue penguins. 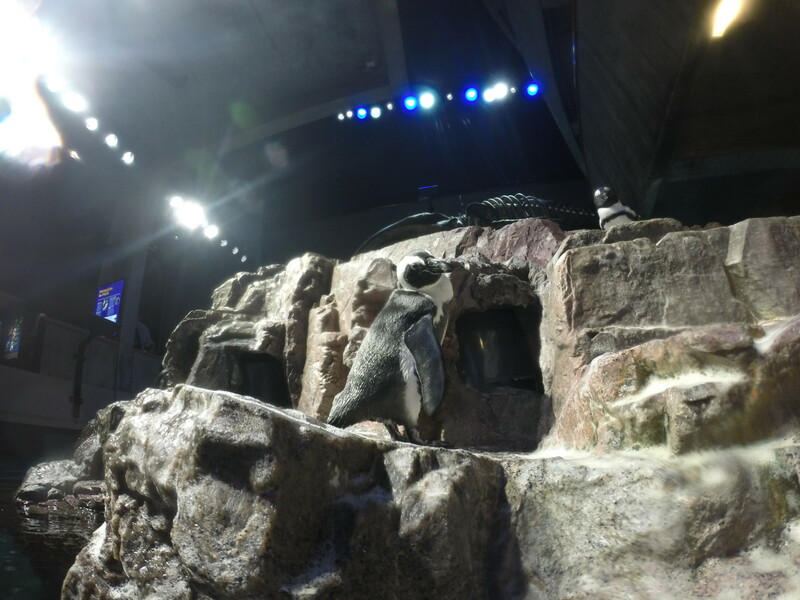 In this gallery, I helped feed the birds after preparing their breakfast and lunch of silversides and herring. To my surprise some of the birds ate over twenty fish in one feeding session! I also helped maintain the cleanliness of the exhibit. 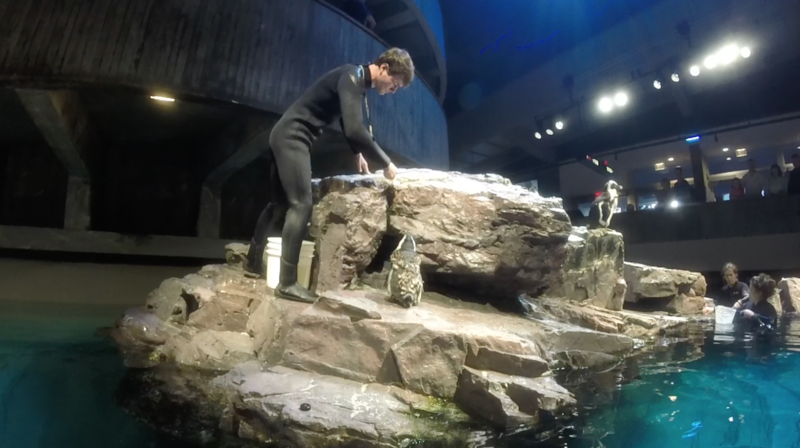 The penguins are far from ‘potty-trained’ — thus lots of cleaning is necessary to maintain their exhibit. It was fun being immersed in the cold water and climbing on the penguins’ rocks. I also came to learn how each penguin truly has his or her own personality. Some are aggressive and demand a respect for their personal space, other are social and curious, and still other are very shy. 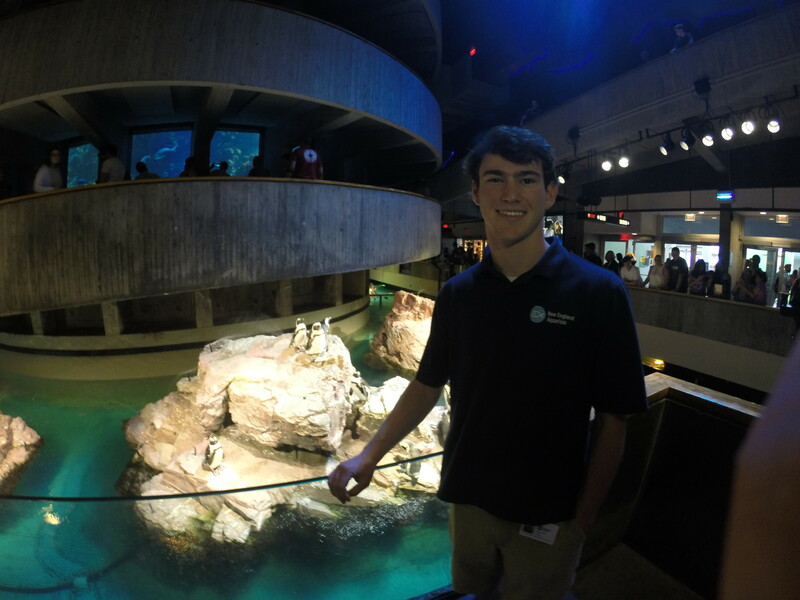 After my work with the penguins, I spent a day in the West Wing — the department responsible for the Shark and Ray Touch Tank, the Jellyfish exhibits, as well as the animals located in the Blue Planet Action Center, used primarily for educational presentations. During my time in the West Wing, I worked with former colleagues and friends Eric Payne and Austin Brayton, with whom I previously volunteered. It was great to see them again, and they were great supervisors for the day. I had lots of fun getting inside the touch tank for target feedings of the two zebra bullhead sharks and working with some of the new animals behind the scenes, like the pacman frog. The last husbandry gallery in which I worked was the Marine Mammals Department. I spent some time working with both the harbor seals exhibit on the Aquarium’s plaza and the fur seals & sea lions exhibit in Marine Mammal Center. Much like the time I spent in the other galleries, I helped prep food in the morning and assisted with feedings and training exercises throughout the day. It was really interesting to see how the trainers go about interacting with these creatures, and how intelligent these animals are. 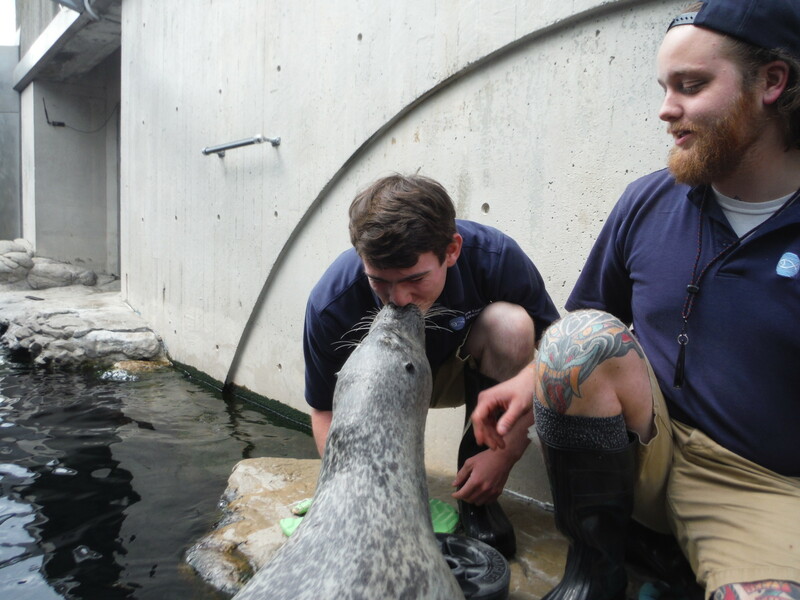 My favorite part of the day was receiving a kiss from Reggae, one of the harbor seals. I kicked off my time at the New England Aquarium (NEAq) by spending a day with my host, Dan Dolan, in the Dive department, which manages the Aquarium’s iconic Giant Ocean Tank. Working with Dan was tons of fun, and the Saturday volunteers and staff with whom I worked were truly a charismatic group of people. My day started with food prep. 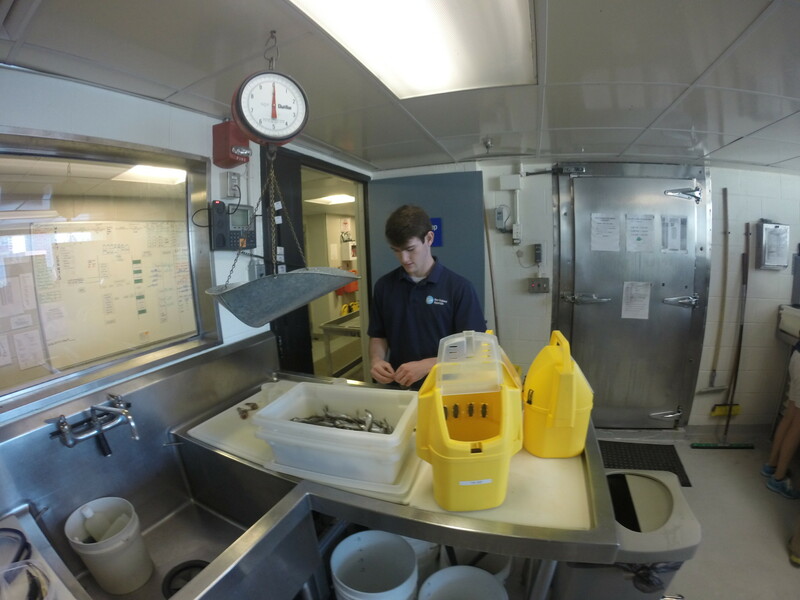 We spent the morning chopping up fish, squid, shrimp, and clams (over 40 pounds!) for all the hungry mouths in the GOT. 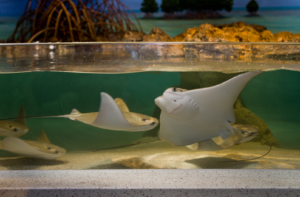 It is truly amazing how much food is put into the 200,000 gallon tank each day. 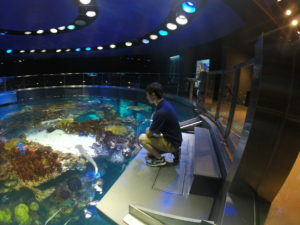 Later, I was lucky enough to dive in the tank alongside Dan to explore the exhibit’s many nooks, crannies, and species. 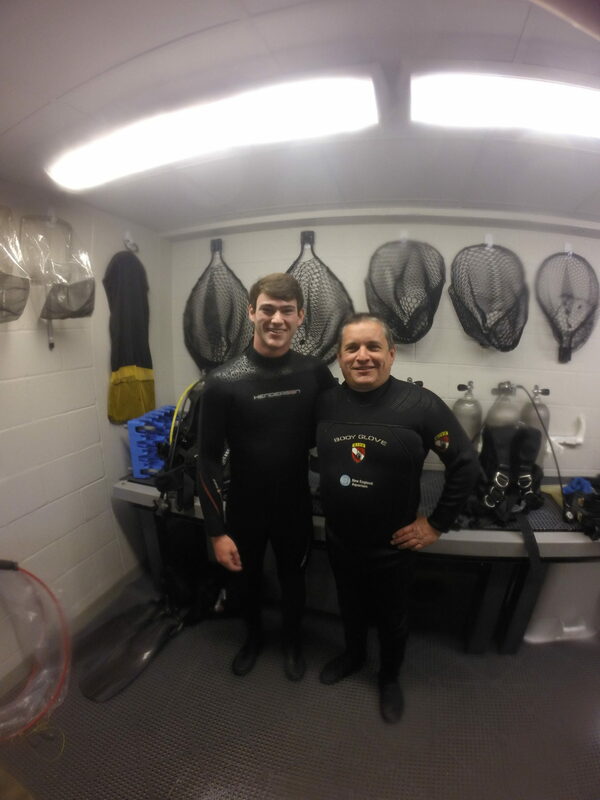 I really appreciated Dan taking me in to dive with him; it was truly a once-in-a-lifetime experience. 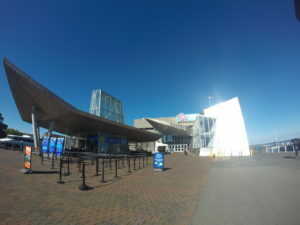 As I swam with NEAq legends such as Myrtle the Turtle, I forgot that I was in an aquarium; the reef felt so authentic. It was lots of fun interacting with the animals. We gave some of the groupers and hogfishes at the bottom of the tank sand baths and even petted the moray eels. The following Saturday, I was back with Dan and the Saturday team for another day of work in the Dive Department and another epic dive in the GOT. A huge thank you goes out to Dan, who coordinated the entirety of my time at the Aquarium and helped me navigate the week, as I moved from department to department. 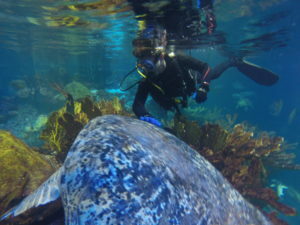 I loved my time with the Dive department and had two great days behind the scenes with Dan. After my final day of work, Dan graciously invited me to dinner at a local restaurant (Alma Nove) near his home in Hingham. The food was great and it was fun getting to know Dan and his wife, Dawn, even better. Dan and I, ready to go! 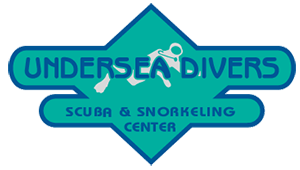 I recently visited Undersea Divers in Beverly, MA to get fitted for lots of new dive gear that I am excited to use during my internship! My new, Henderson 7 mm wetsuit fits like a glove — and so do my new gloves! 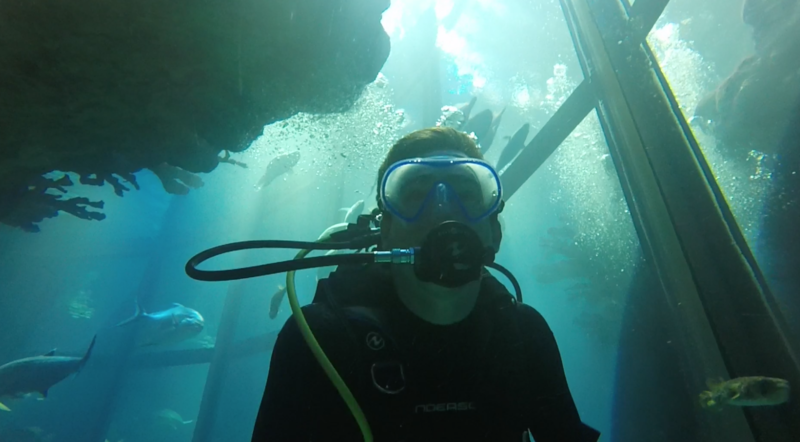 I love my Aqua Lung fins which have a spring-loaded strap, making them very easy to slide in and out of. 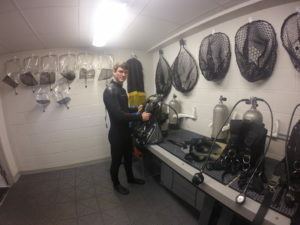 I can’t wait to get in the water and try out all this new equipment, including my drysuit which is on the way! 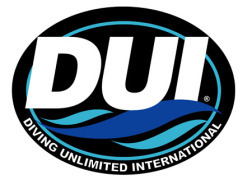 I am very fortunate that Undersea Divers has so generously sponsored me alongside many wonderful dive gear retailers such as DUI, Henderson, and Aqua Lung. 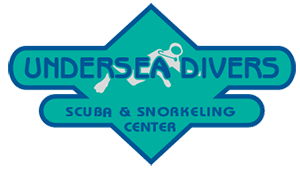 A huge thank you goes out to the staff of Undersea Divers, Whitney Boyle and Shaun Maguire, for helping coordinate the fitting of my new gear! I really appreciate the generosity! 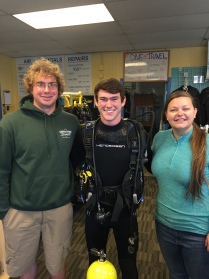 Whitney, Shaun, and I at Undersea Divers in Beverly!